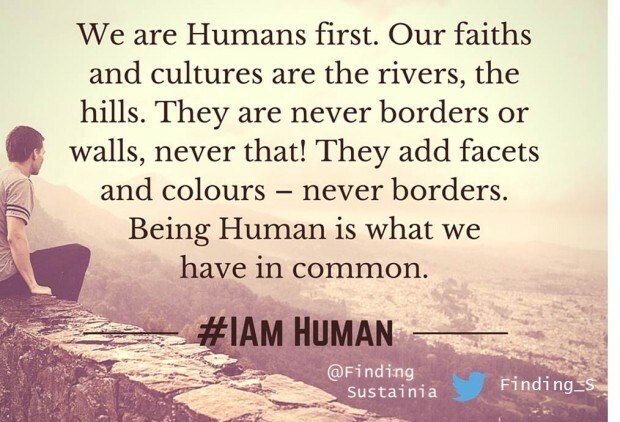 We are Humans first. Our faiths, cultures, backgrounds, and skin are the rivers, the flora and fauna, the hills, the dwells and huts – that what makes us individual but still the same. They are never borders or walls, never that! They add facets and colours – never borders. Being Human is what we have in common. 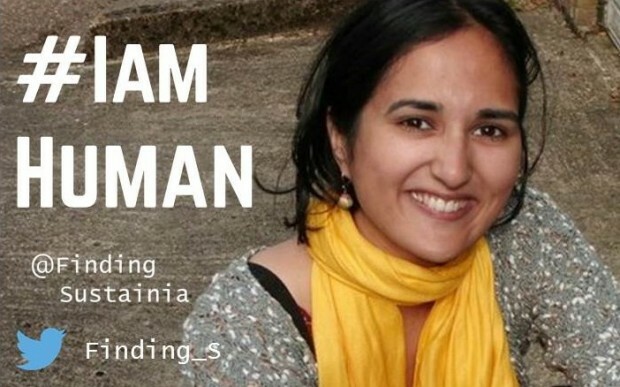 #IAmHuman – tell us your story by text, photo or video. And while you are at it please nominate people and/or great blogs you follow to do the same! We normally write in German and are a Think & Action Lab on sustainable lifestyle choices, particularly by challenging ourselves every month with a new sustainability challenge. This campaign is different and thus we have chosen to do it in English, as an universal language. Everyone is free to do it in the way and language he, she, it chooses to. Let’s start with our member Santa’s story. I am a Human that goes by the name of Santa Meyer-Nandi. I was born in this World in the year 1984 and have lived and seen several places, done religious and non-religious festivities with many other Humans from this World. My parents come from this big country where Gandhi is from. In fact, my great Grandfather fought non-violently with Gandhi. I was born in the country where Merkel is Kanzler – but live in the city with the Eiffeltower where now a small group of misguided sad Humans took the lives of other Humans, just like this. Things like this are happening in many other places of this World. Not just where I live. It makes me really sad to see that now we Humans are quarreling about this and that, blaming and attacking, instead of budging up a bit closer together to oppose these attacks against Humanity. This little group of sad Humans hurt pretty much everyone, including their own parents who must wonder what went wrong with their kids to do something like this. I tried to explain to my 3 year old daughter why Humans hurt other Humans just like this but couldn’t really come up with a good answer. Because I quite frankly don’t understand it myself. I am actually married to a man who believes in God as a Trinity. But who am I to find this concept strange? Where I come from we believe in many Gods, one of them even has an elephant head. We are content with each other. And if we quarrel it is more about other things such as who will change our son’s nappies. It is not that we are proud of our quarrels – but as a tired Human parents this sometimes happens. We love our children. They eat curries, sauerkraut and food from everywhere. Their friends are also from everywhere. And this what I love about this World – we Humans are different, unique and yet the same! Let’s please not forget that. Especially when we start discussions with other Humans which may alienate us and stress our differences rather than what we have in common. Let’s listen to each other and see what we can do for each other! P.S. 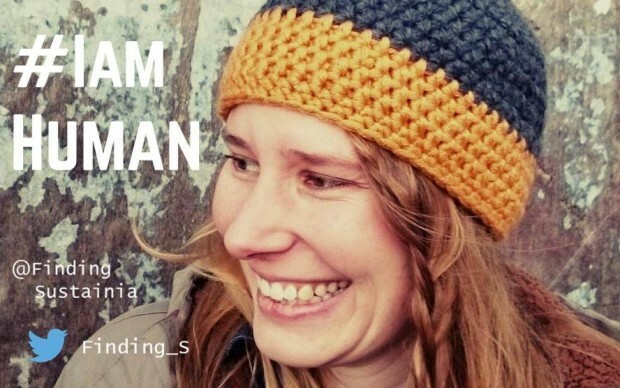 This is Anna, the fellow Human who has co-directed FindingSustainia with me for two years now. Her story will follow soon. Very beautiful! Because we are unique and yet the same! I am Human- and i wish to see all my fellow friends to understand and realise the definition of being Human.. And soon be a Human too..